Installation view at Schloss Ringenberg, during "Schlossstrasse". 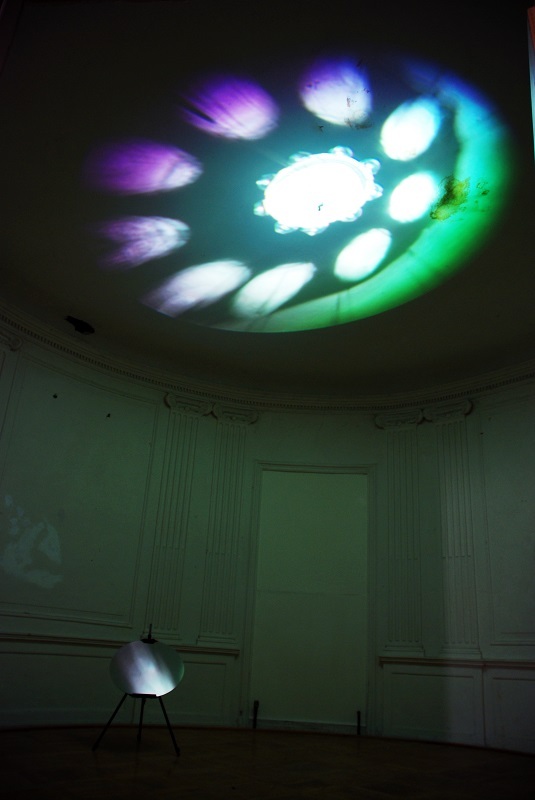 A, moving projection of shadow-light features against the ceiling of the round "Secret room" in the castle. 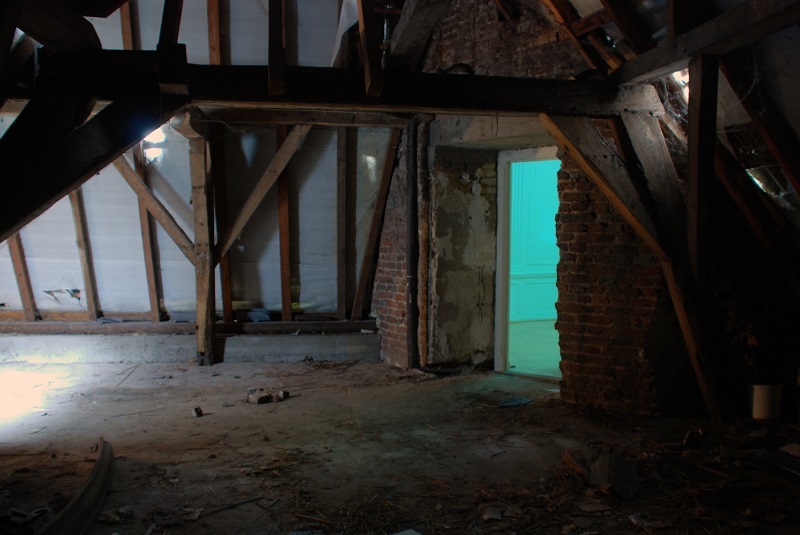 Before getting there the visitor has to go through an attic.